Discover a powerful lawn care toolset to streamline your tasks, boost revenues and secure long-run growth! Managemart is state-of-the-art lawn service app for businesses enabling you to easily tackle your workflow from any device. with just a touch on a screen of your ipad or phone. With ManageMart, you no longer need to look for best lawn care apps for IPhone or Android -- our lawn management software runs on both platforms and helps you manage your services effectively. ManageMart has unlimited cloud-based storage for all the your lawn care business records! This easy-to-use lawn maintenance app helps you access your profile in just a few clicks and find the the necessary info within seconds. Achieve up to 5x productivity boost and get more work done with Managemart! Do you still use GPS or physical maps? Do you frequently get lost or stuck in traffic jams? How often do you adjust your schedule because of some unforeseen situations? 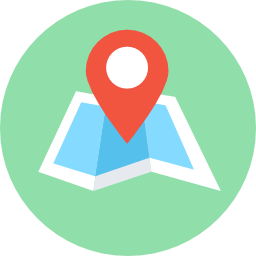 ManageMart lawn care routing software enables you to discover the best possible routes and change your plans according to current load on the roads, saving you time and hassle. Access your profile using any device, use our SnailMail to send mails effortlessly, connect to your customers with our messaging system. Our lawn care business app provides exceptional features to secure the growth of your business and satisfaction of your customers. Maximize your efficiency through our ultimate lawn care software! Our platform allows you to connect to Square, PayPal or Stripe. Just imagine, your customers will pay their invoices even before you are done lawn mowing for the day. System will automatically update payment history and customer’s page. Along with that, you will get alerts and notifications for free. Optimize your payment strategies using ManageMart! The more clients you have, the harder it gets to keep track of current tasks and assignments and always be updated about your next move. Our lawn service app helps you stay on top of the game. Designed by a high-skilled expert team experienced in working closely with lawn care services, ManageMart transforms your understanding of scheduling. Effortlessly and momentarily plan your lawn maintenance orders with our app. Color code, employ filters, set recurring events, highlight important tasks, adjust your plans on the move, and do anything you can think of. With ManageMart schedule, you will always be on time! Our priority is to save your time! With Managemart you no longer need to look for the best lawn care tracking software, since our app has all top-notch tracking features. How many times your GPS showed the wrong way or ignored traffic on the roads? How many times you had to reschedule an appointment? This will never happen to you again. Our routing feature will select the most suitable routes and adjust them to your plans for the day. ManageMart works holistically and strategically to find the best option for you that will both save your time and elevate efficiency. High quality lawn care billing software should be on top of your priorities as you assemble your business toolset. Ideally, it should go hand in hand with lawn care estimating feature and Managemart integrates both! With Managemart, invoicing and billing your customers have never been as easy. Create invoices automatically, set your payment plans, send invoices per worker, per hour, or per service, and add additional services to invoice. Our app enables you to receive payments momentarily, edit your calendars, and access financial reports anytime you prefer. Avoid confusion and streamline your billing process with Managemart! Effectively manage your equipment, track repairs, expenses, assign employees in charge, and monitor the history. With lawn maintenance business being heavy dependent on equipment, our intelligent software will help you to avoid setbacks. With ManageMart, you can control all your services and without difficulty secure profits for your company. Pricing your work has always been a tricky part of a lawn care company. There are just too many factors that have to be taken into account. Property size and its condition, the amount of labor its maintenance will involve, the type of work, the equipment and its productivity, to say nothing of overhead costs, such as fuel and travel expenses. With Managemart you no longer need a standalone estimating software to automate these complex calculations. Being a one-stop solution for your lawn care management, this professional app delivers all you need for accurate estimating process. Growing your business comes with its challenges as well. Managing many employees can be a burdensome experience, but Managemart makes it easy for you! We bring you an ultimate lawn service platform that manages each worker remotely, traces their timecards, and assigns tasks individually. Moreover, your employees will have their own pages and login information. Empower your team with our dynamic solution! Being a one-stop solution for lawn care management, ManageMart app has gazillions of benefits for the customers. Timecards are one of those: in just one click you can track the time your workers spent on lawn care service and monitor workloads and productivity of each employee individually. Download detailed reports and use them to precisely calculate monthly payments. Filter and navigate easily within the multi-user system. Why should I choose Managemart? Managemart is an all-in-one solution tailored specifically for lawn services needs, a business app that integrates just about every feature you can think of -- from routing and estimating to employee timecards. 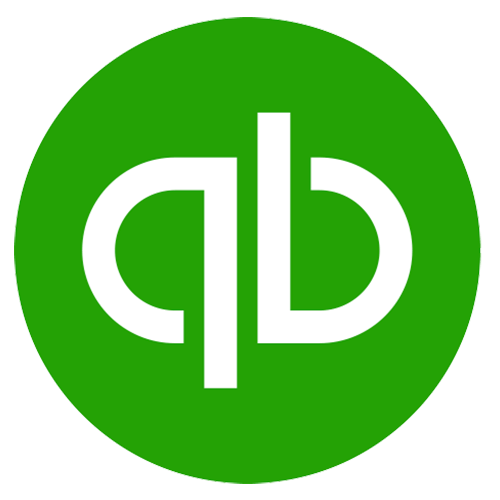 Moreover, you don’t have to give up on your favorite applications just because you’ve installed Managemart -- if you are a Quickbooks user, you can sync both accounts. Is Managemart a free lawn care software? Managemart is a professional solution, which surpasses any free lawn care software. However, we do offer a FREE 15 day trial period for study and evaluation. I`m looking for lawn care apps for Iphone: will Managemart run on iOS? Managemart is a cross platform business app - it will run on both iOS and Android. It will also run on any device - a tablet, and IPad or a mobile phone, which is great for routing and scheduling on the move. Download a free trial version from App Store or Play Store. Try all these great functions!